Maggie received a precious gift seventeen years ago, a new chance at life, and the person who made that possible was Lucy Harte. Maggie needed a donor heart and Lucy's saved her. Maggie repeatedly thanks Lucy for her gift, but even though she knows she should cherish it, now that her heart is broken she doesn't take good care of it. Maggie's husband left her after being married to her for a little over a year and Maggie is making a mess of her life. Her friends, family and colleagues are all worried about her. Maggie's destructive behavior ceases as soon as she receives a letter from Simon Harte. He has something he wants to share with her. Lucy has one more precious thing to give to Maggie and saves her life again. While with the guidance of Lucy Maggie gets herself together she has the chance to find herself, to fully live without regrets and to take care of her donor heart as well as she can. Lucy Harte has left Maggie something precious and Maggie will never forget what she's done for her. 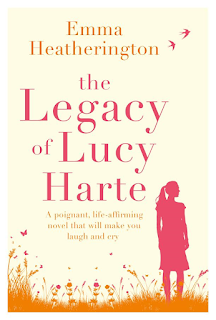 The Legacy of Lucy Harte is a beautiful emotional story. Maggie is a sweetheart and what her ex-husband has done to her is awful. She went through so much in her life already and doesn't deserve the suffering he caused. Fortunately there's help and there is hope. It was fabulous to see how her connection with Lucy changes Maggie's life again, just like it did seventeen years ago. Lucy is special and I loved the fantastic way Emma Heatherington portrays her. Because of her Maggie knows how to really live and reading about it was both fascinating and compelling. Emma Heatherington writes about a serious topic in an empathic and honest way. 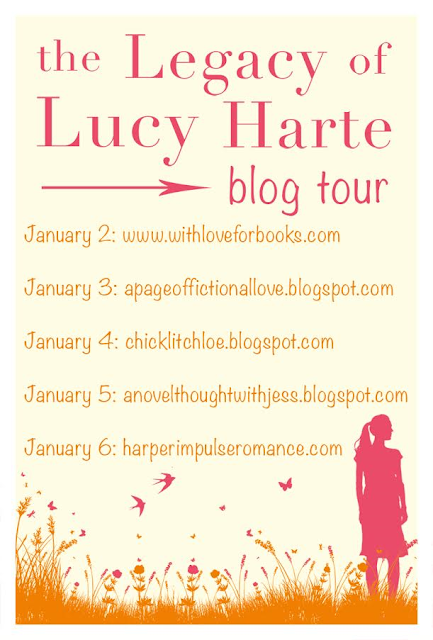 I read The Legacy of Lucy Hearte with a smile on my face and tears in my eyes. The bittersweet story contains many different layers and they are all equally interesting. I loved getting to know both Maggie and Lucy and the important people in their lives. Even though organ donation isn't a light topic the story never becomes too heavy. Emma Heatherington skillfully masters keeping the balance, which makes her story incredibly strong. I loved this amazing moving book and highly recommend it. 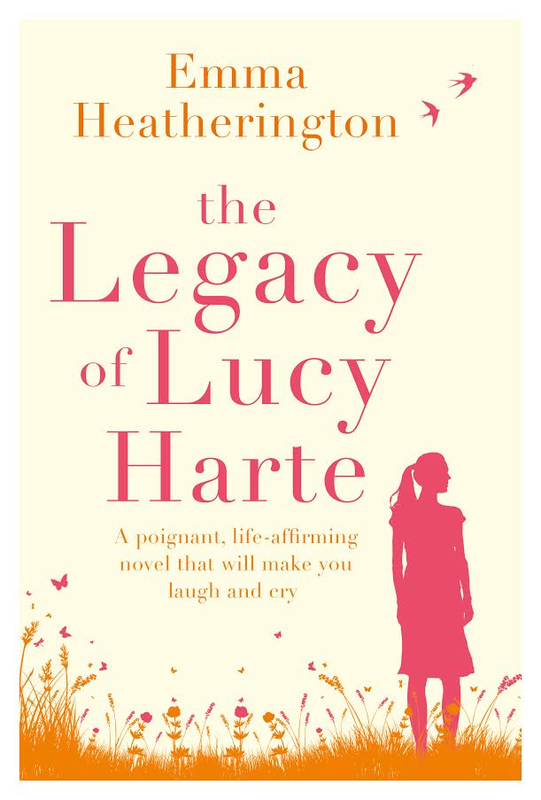 The Legacy of Lucy Harte is perfect for readers who love beautiful and impressive emotional stories. Emma Heatherington is from Donaghmore, Co Tyrone where she lives with her children - Jordyn (20), Jade (15), Dualta (15) Adam (14) and baby Sonny James. She has penned more than fifty short educational films, plays and musicals as well as seven novels for Poolbeg Press, two of which were written under the pseudonym Emma Louise Jordan. 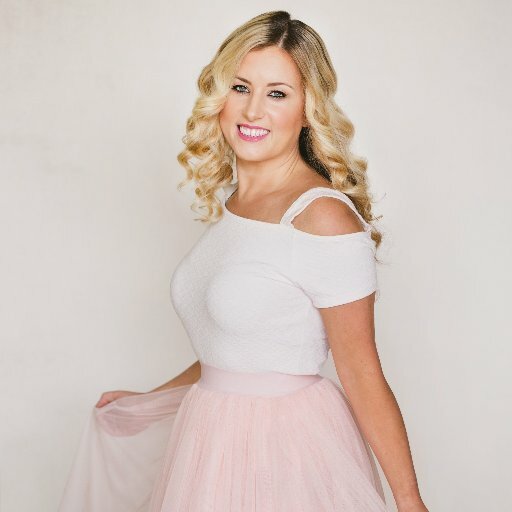 She loves spending time with her partner (the talented artist and singer/songwriter Jim McKee) all things Nashville, romantic comedy movies, singalong nights with friends and family, red wine, musical theatre, new pyjamas, fresh clean bedclothes, long bubble baths and cosy nights in by the fire. Find Emma on Twitter or on Facebook. Maggie O'Hara knows better than most that life can change in a heartbeat. Eighteen years ago she was given the most precious gift- a second-hand heart, and a second chance at life. Until an unexpected letter changes everything and brings Maggie back into the life of Lucy Harte – and a chance for Maggie to get her life back on track once more. Lucy's final gift to Maggie is much more than the heart that beats inside her. It's a legacy that Maggie must learn to live by. A chance to make her heart skip a beat with every new discovery she makes; a promise to live, laugh, fall in love and heal her broken heart for good. I'm glad (and amazed) that this isn't relentlessly intense! It sounds like a lovely story! My kind of book, thank you. This sounds like an very emotional story. Organ donation is such a beautiful, selfless gift. I've never read a book about it, though. This book sounds wonderful, I will definitely check it out. Thank you for the review! Oh. I love books that make me smile and cry. It means the author did their job and brought the characters to life! This one sounds lovely! Great review too. This sounds like a good book to read with Kleenexes nearby. Emma is a new author to me and I'm looking forward to reading The Legacy of Lucy Harte. Wow! This sounds wonderful, I have never read a book about donating organs. This sounds like a great emotional read, but an inspiring story too! Emma Heatherington is a new author to me, and while normally a book on this subject wouldn't entice me to read it, this one sounds like something I would enjoy reading, with a large box of kleenex handy. I had not previously heard of this book. It sounds wonderful and original. This sounds like a great book about what it means to truly live. It is a tough subject but so worthwhile. Two years ago I received a transplant that gave me my mobility back and without which I'd have faced a future in a wheelchair. Thank you to all those selfless people and their families.